Back in July, we released a set of ‘currently available’ and ‘ideal’ indicators for local authorities to measure wellbeing in their area. 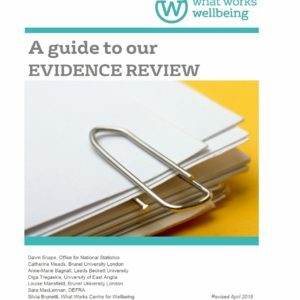 The report looked at 23 wellbeing domains, covering a range of more traditional measures, like unemployment and housing, as well as more nuanced measures, such as general trust levels, community cohesion and life satisfaction. All shown by the evidence to be important for wellbeing. It was the first time all these indicators had been brought together in one place, and we were keen to get your feedback so we could refine and improve them. Over the summer we consulted with a range of local authorities, and some have started using the indicators, including a roundtable in Manchester that brought together local authority staff, our partners from Happy City, Public Health England, Office for National Statistics and academics. Today we are releasing the data for Local Authorities across England – across each of the currently available indicators. How can you use the data? Local authorities can use the data to examine their local wellbeing and to begin to understand their priorities for improving wellbeing. Priorities for action to improve wellbeing will depend on your population’s needs and the cost effectiveness of all the options which can be taken. However, a good starting point for making these decisions is to better understand the data on the determinants of wellbeing – the factors which are shown to be important for wellbeing. 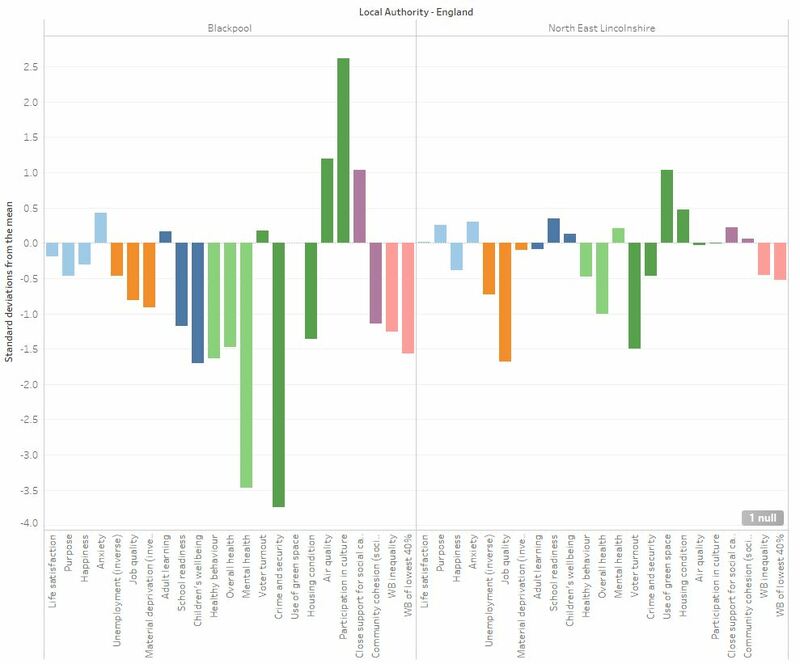 It may be helpful to look at why your area may be performing worse, or better, than other comparable local authorities in specific wellbeing domains. It would also be useful to see how your area’s wellbeing changes over time. 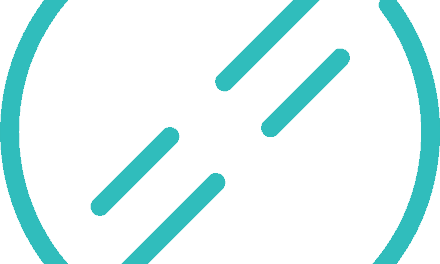 To make this possible, Public Health England will be starting the process of incorporating the ‘currently available’ set into the fingertips tool and starting work to develop the ideal set. Why isn’t this an index? It is a starting point for thinking about action to improve wellbeing. Action to improve wellbeing depends on understanding the underlying determinants of wellbeing and the causes rather than a combined score. A combined score can mask the contribution of the different domains. related to this, the biggest gains in wellbeing can often be achieved through identifying in which areas there may be ‘gaps’ or challenges. Certain domains will have a greater contribution to wellbeing in different contexts. local context is vital to identifying the whole story. Comparing local authorities facing different challenges and with different assets is less useful than identifying domains where authorities are innovating or struggling, despite overall wellbeing levels. What are your local wellbeing levels? Find your local area and play around with visualisations, for example using free software such as Tableau. Here are some examples of how you can use the data in our spreadsheet to present the indicators (screenshots and interpretations below). Indicators in practice: what can we see? We know that there is no ‘key’ to wellbeing. An area will not have high wellbeing if, for example, the employment rate is the best in the country, but at the expense of social relations, good quality jobs, housing, crime. One determinant performing exceptionally well doesn’t make up for the rest. A balance is important. We know that when certain determinants are particularly low, they can have a disproportionately negative impact on wellbeing. For example, income has the biggest impact on wellbeing for those in deprivation and a diminishing impact for those already with a decent salary; having a person to rely on is most important for someone with no-one to rely on, compared to those already with a large support network. This is why it can be helpful to look at ‘gaps’. We can compare each domain in a Local Authority with the mean across England – i.e. whether a domain is above or below the mean. This is shown in the visualisations below whether the bar is above the mid-line or below the mid-line. As mentioned above, there will be a number of population factors influencing the data, so it doesn’t mean that a Local Authority is doing ‘badly’ if they score below the mean. What is helpful is for a Local Authority to see which domains are performing relatively better than others – to identify their successes and ‘gaps’. For example, we can see from the visualisations that Blackpool may be below the UK mean for a number of areas, but is well above the mean for participation in culture. A priority for this area may be to understand why those below the mean are so low and what can be done. In another area – North East Lincolnshire – the gaps may be around quality employment, participation, and so on. The most useful comparisons are across local authorities with similar demographics and risks. 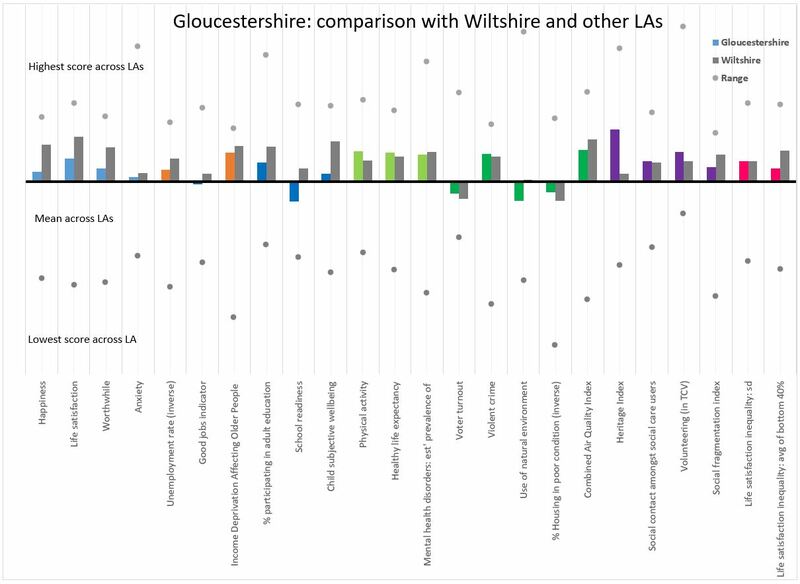 For example, we compared our case study Gloucestershire with Wiltshire, which have been identified as comparable areas for Clinical Commissioning Groups by NHS Rightcare. 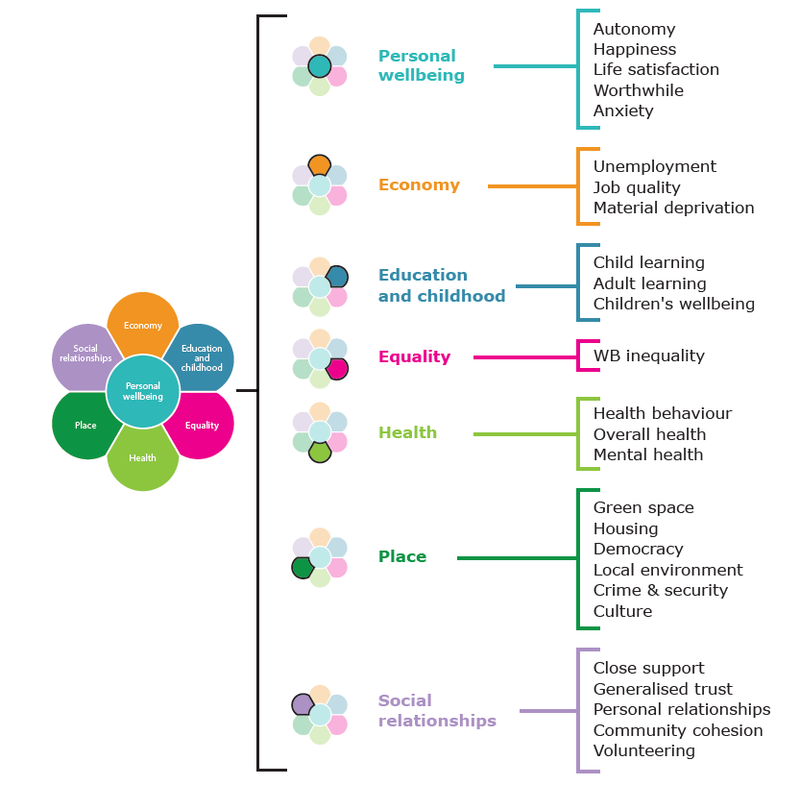 If we want to be able to understand the determinants of wellbeing across local authorities, there is still a lot of work to do. As we highlighted in the report, a number of indicators, especially on social relations, do not have adequate data broken down at a local authority level. If you have any questions, suggestions or experience relating to the indicators, or measuring wellbeing at a local level, please get in touch! 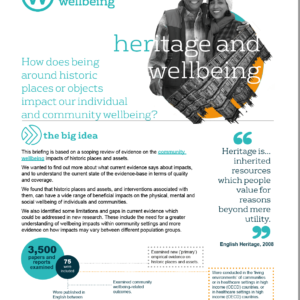 What can we learn from £40M invested into wellbeing? So what works in getting research used in decision-making? Thanks for this – very interesting. I’d very much like to know what measures comprise the ‘job quality’ indicator and how these data are collected?